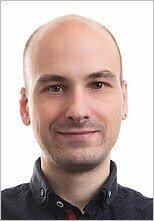 About Paul Taylor - Hair Loss: What, Where, When & Why? Hello, I’m Paul Taylor. Up until the age of 23, I was blissfully unaware of hair loss or the pain it can cause. Despite many male members of my extended family suffering from this condition, I had absolutely no idea about what was in store for me just around the corner. So I went through university and then embarked on my career just like anyone else. 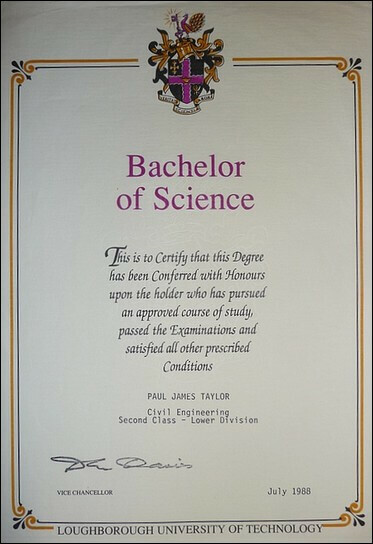 In 1988 I graduated from Loughborough university in the UK with a B.Sc. honors degree in civil engineering. 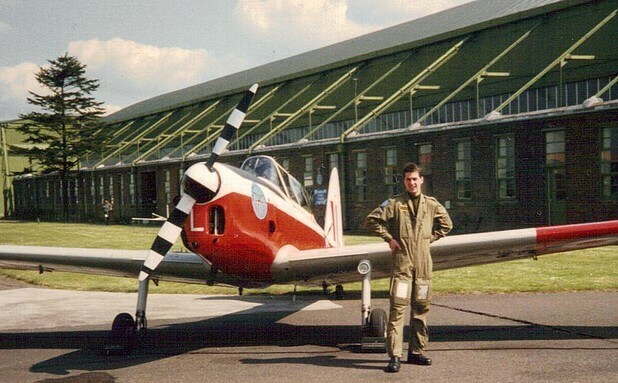 I then joined the Royal Air Force (RAF) for pilot training. And it was during this time that I first noticed my hairline beginning to recede. Learning to fly an aircraft is obviously a very demanding occupation. But the stress involved was not the reason why I started losing hair. It was always going to affect me, just as it affects anyone else with the genetic tendency towards this type of hair loss. However, it's probably true to say that the high pressure environment I was in didn't exactly help! When I left the RAF, I worked for the civil service (Crown Prosecution Service) for two years in London before deciding to return to university for teacher training. 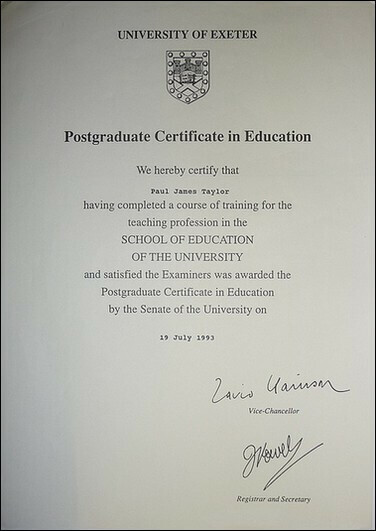 I qualified as a mathematics teacher from Exeter university in 1993 and taught for a couple of years. I then traveled the world, came back to Britain a year later and qualified as a licensed tennis coach with the Lawn Tennis Association (LTA). 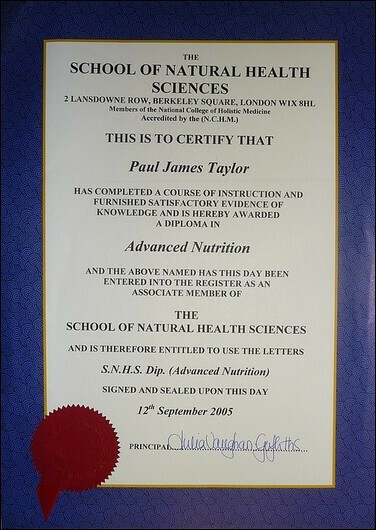 In pursuing that career, I also gained diplomas in advanced nutrition and sports psychology. So, as you can see, I've had quite a colorful career so far. A career that largely focused on education. Even in my spare time I studied! And That Includes Hair Loss! After I realized I was losing my hair back in 1989, it then rapidly progressed within just a couple of years. And I was not happy about it! 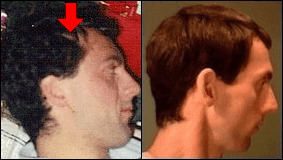 In the photos below, the left picture was taken in 1991 (age 25) when my hair had only just started thinning at the crown. Although I tried very hard to cover up my receding hairline, you can still see how quickly it receded away in just two years (see red arrow). My hair loss continued getting worse and worse from 1989 to 1996. Then I finally figured out how to stop it (photo on the right). I believe my qualifications and work experience gave me a unique perspective from which to view this problem. A perspective no doubt very different from that which dermatologists, trichologists, etc. learn as medical students, whereby they're only taught the established theory for hair loss, and instructed to use only conventional drug products and treatments that have FDA approval. All that studying I did developed a very analytical approach to problem solving. And that's how I eventually realized that skull expansion is the underlying reason behind this type of hair loss (androgenetic alopecia). I was 30 when that happened. And very soon afterwards I developed the techniques I used that successfully restored strong hair regrowth. My techniques gave me the healthy head of hair I still have today. And I'm extremely pleased with the results. Once hair loss hit me, I felt uneasy about the idea of using drugs (minoxidil) for treatment. So that's why I wanted to find my own alternative solution. I wish it hadn't taken me all those years to figure out, but at least I got there in the end! Later on I wrote an article which was published in the Medical Hypotheses Journal (Skull Expansion: Alternative Model for the Primary Mechanism of AGA, Medical Hypotheses, Volume 72, Issue 1, January 2009, Pages 23-28, Taylor PJ). You can read a summary of my article at PubMed. I also wrote an ebook to help other men and women who are losing their hair an opportunity to try my techniques. 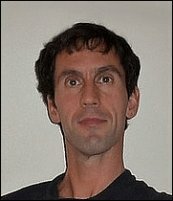 And I built the HairGrowthSOS.com website so that people can learn about skull expansion too. So that's my background. Thanks for reading! Paul Taylor. By all means use the Contact form to ask any question you might have.